I finally went to the consumer opinion panel that I’d written about a few weeks ago. I earned $125 for two hours of time that normally would’ve been spent puttering around the house. I was able to get a friend qualified for the same panel, so it felt like socializing. We gave our opinions, enjoyed some free snacks and felt like cast members of The Sopranos when they handed us our envelopes full of cash. We were given swag bags of branded merchandise, but I declined mine, as the last thing I need in my house is more clutter. I ran out to the grocery store last night and was able to score two gallons of $1.29 marked down milk. Yeah, baby! I darned more socks, defrosted clearance price chicken, read library books at my son’s futsal (indoor soccer) game and dried lightweight clothes on our indoor clothing rack. (1) Went to grocery store with DH and amazed him by using coupons (in-house, not manufacturers’) on almost everything we bought. On the other hand, the 80-ish lady in front of us used twice as many in-house coupons as I did–and they didn’t look like frivolous purchases, either. We have much to learn from our elders, grasshoppers. (2) Not feeling up to par this afternoon, so hanging out at home and catching up on various chores that don’t require excessive effort on my part (laundry, hard-boiling eggs for various uses, etc.). (3) Also conserving personal energy in the hope of having enough tomorrow for a field trip to the east of us (an upscale suburb’s library book sale and two other suburbs’ thrift stores). Will practice strict NCA discipline in any purchases at same. (5) Catfish (bought with grocery store coupon) and roasted root veg (in stock) for dinner tonight. 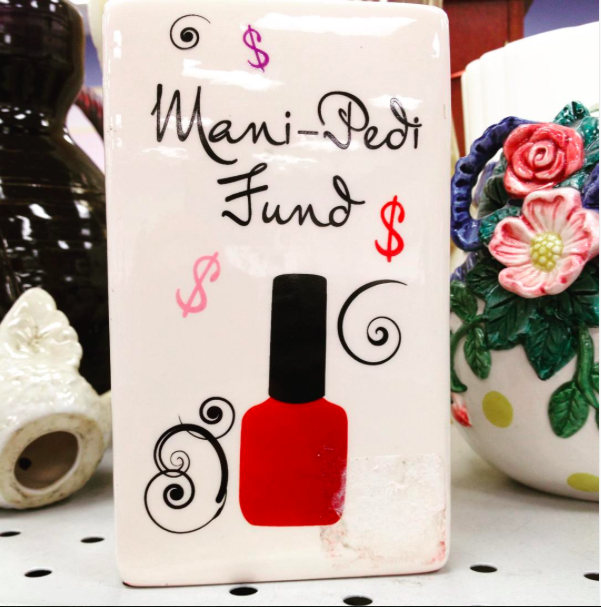 I say this with tongue in cheek, but, aren’t you being sexist by assuming the mani-pedi fund jar is for women? 1. Bought alcohol rubbing solution from the chemist to make my own eye glasses cleaning solution. I grabbed the idea after googling homemade eye glasses cleaner – so much cheaper than store bought stuff. 2. Havested tomatoes, herbs and wild blackberries from garden. Also picking flowers from the garden to decorate the house. 3. Bought my Autumn vegetable seeds online – will plant this week. Also topped up on some of my spring / summer seeds. I love growing and eating my own produce. I am learning so much and making lots of mistakes too! 4. Baked cookies for my friend as a small belated Christmas gift. Wrapped up with some ribbon and a tag from my stash, they look sweet. 5. Shopping for mainly staples and eating all meals at home. My husband and I coverted to paying with cash this year (we withdraw a certain amount each week), rather than card. Wow – I have never been more mindful of how I spend my $$. Been on vacation since 1/25 but have been quite frugal, except for the budgeted hotel expenses, and those were not bad either. Have decided to go towards home two days early, since we have seen everything on our list of what we wanted to see and then some. I have “shopped” on vacation and spent very little. A few Christmas decorations for gifts for next year were frugal at W. Va.’S Tamarack, a site for arts and crafts made in W. Va. Also today spent for 2 Le Cruset fridge magnets as they were SO cute, and also $2 each–so useful and frugal!! I also bought a glass pie plate ($3.49/6 inch) which will serve as MY souvenir from the trip. Husband bought a book, a magazine, a flashlight, and some punches (tool outlet). I think that is everything that was not food, admissions or gas. Have been to two LARGE outlet malls, but was not in need of anything they had there. I even tried on a couple sale tops but didn’t care for the way they fit. Our memories will have to serve mostly to remember this trip by. We usually go somewhere this time of year since my birthday and our anniversary are close together and this is how we celebrate! So many frugal fails… I have been working to a major deadline and dropped the ball. The worst was last night, when we had our monthly takeaway night. This is budgeted for, so that’s ok, but I fell for a marketing email from an upmarket pizza place, and we blew $45 on the worst takeaway ever made. $45! I felt like punching something. But there’s been lots of little things due to my defences being down. Buying coffee, buying snacks, that kind of thing. I find when life gets really busy, and I’m really tired, it’s hard to stay on target! I experience this as well. Stress and fatigue are not conducive to making frugal or healthy choices for me. 1. I’ve been doing swagbucks surveys in my spare time at work. Lots of spare time during this part of the year! 2. I brought in lunch every day this week and my mason jar of tea that I top off with hot water at break time. 3. Went to Costco and only bought what was on the list. 4. Hubby needed to make a flag to hang from his bagpipes, but rather than have one made online or even buying a white flag to design, we used a $1.49 bandana (used a coupon) and printed off the iron on transfer at home. Saved a ton of $$ designing it himself. 5. Bringing home some old worn out parts from work to use to make a new goat hayrack. The goats are wasting their hay and this should save me a couple hundred dollars/year! I do the same…two chronically ill children. I cook from scratch….NEVER do take out, but this past month did take out 3 times in two weeks… lots of doctor/er/testing. Mom was at her limit! 1. I got a piece of mail that didn’t make sense – it was asking from an insurance company that had a life insurance policy on my father. Since we had already received it, I was about to throw it out. But, I called, and it turns out that his employer had a policy and finally notified them of his passing. He died in July 2013! So, I took care of the paperwork and we might get some additional funds – and all of us could use a little something extra right now. 2. I have a cold, so I just hung out in my trailer and ate leftovers. 3. I made a Mardi Gras hat out of plastic bags I had been saving. 4. Since I’m not feeling good, I am not driving around and taking in the sights. 5. I didn’t buy a Class A RV. You might check his name on the unclaimed property records in your state to see if you missed anything else. By law, unclaimed money is escheated to the state. Even small things like uncashed refunds from utility companies, etc. 1. I had a friend over for lunch. I used what I had on hand to make Chicken Tortilla soup. We garnished it with tortilla chip crumbs and a $.49 avocado. I also made fruit salad and some blondies, using what I had on hand. 2. While it is not the most frugal option, my daughter got a Keurig and has been using it. We have figured out that K-cups go on sale and there are coupons for them. It saves time, money, and is more environmentally friendly than Starbucks (when driving there and using their cups). 3. I packed lunches for my husband all week and for myself on the days I was not home at lunch time. I had leftovers for lunch earlier this week, when I was home. 4. I am cleaning out dresser drawers and my half of our closet. I am getting rid of things I don’t wear and will just keep wearing what I have. 5. I helped a friend clean her classroom. She was willing to get rid of “perfectly good” items she’d never use, as long as they were not thrown away. Some binder tabs found a new home via freecycle and sheet protectors found new homes with some of my crafty friends (to be used for holding patterns). Hear you on the Keurig. Actually found a reduced for clearance reusable K cup that fits the mini brewer we have at work. Also, some reduced Tully’s decaf and this has been working well. Much cheaper, less waste. Do love the convenience of the darn thing! I also have a mini brewer and use reusable cups. In addition to the convenience, I love being able to mix up various flavors of coffee bought on sale. Right now I’m enjoying some half-caff that’s half chocolate almond decaff and half Seattle’s Best, and it is so good. About the Keurig- I found it so heartbreaking to hear the guy who invented them say he regrets making them (due to them being bad for the environment). I just picture him going: “Noooo!” once he’d realized what he’d done. I have to admit I’ve been tempted by them as it’s what’s available free at work, but I like having coffee at home first thing in the morning. I read that same article! I do love consumer panels. Onetime I got paid $100 to taste different cakes and frostings. Best. Day. Ever. 1) Had a playdate at the library. Free and everyone had fun. 2) ignored the impulse to get Jimmy Johns and instead made a delicious pot pie. 3) Got paid from my ebates account and quickly threw that money into savings before I could spend it. 4) Spent all day looking for my daughter’s lost shoe. I was about ready to give up and get her some new ones when I thought of one more place it could be. Boom. Found it. 5) My husband and I are enjoying a date night at home tonight. Scrabble and a free movie! So romantic. 1. Snow day, so I stayed in and didn’t use any gas in my car. 2. Reading a book that was free on my Kindle. 3.Roasting a half chicken from the freezer, so we are not eating out, along with potatoes, carrots and onions in the same pan, which saves on gas and dishes. 4. I ordered an organic laundry detergent from Thrive that they were giving for just the $1.95 shipping cost for a 70 load bag of powdered detergent. 5. I ALWAYS don’t buy a Lear jet! 1. We continue to supplement our heat with our woodstove insert. Burning free wood that we had gotten last year, when 3 different people we know had each had a tree taken down. 2. I’ve made $188 this week doing mystery shopper and shelf audits. Another $25 is pending and I will get reimbursed $12 for the pizza mystery shop I did last night. College fund! 3. Stopped by the grocery store to pick up a couple things the other night before the ad ended. Bought 8 cans of pineapple, 2 bottles of our favorite BBQ sauce, 3 bags of Goldfish crackers, 7 boxes of organic Horizon Mac & Cheese and 3.33 lb pork picnic roast. The pork roast was on sale for $4.95 and had a $2 coupon on the package. Total spent-$12.96 for 21 items. I had 4 coupons for the pineapple that were 75¢/2 that were doubled and a catalina for $1.50 off the mac & cheese printed out as they were scanned so I could use it too! 4. We are going to Charleston SC to see DS#2 play in an Ultimate tournament with his college team. Starting to put together the care package to take to him so that’s why the Goldfish in #3. Need to hem a few pairs of pants that we bought when he was home on Winter Break so I don’t have to mail them. 5. Have been steadily selling from my listings on Amazon. I took some time to make some price adjustments and have been seeing items that I listed quite awhile ago now selling. This weekend I plan to go through my inventory and purge items that are no longer worth selling on Amazon after fees. Books will go to the used book store for credit. I’ll then see what items they may have that I can list on Amazon and use the credit to purchase. College fund! Glad to see (re: your #1) that there’s another happy woodstove insert/free firewood user out there. Our winter natural gas bills are so low for Upstate NY that they’re sometimes lower than National Grid’s service charges. And as for free wood…we had a wind storm here this week, and DH was getting phone calls from all over about fallen trees. He had to refuse because we’ve already got so much free wood that our storage spaces are full! –My husband bought electric hair clippers so I can cut his hair. As a teenager, I cut my father’s hair. I cut our son’s hair from the time he was a little tyke, so I’m very comfortable with this. Took hubby years to get with the program, but, he’s fully on-board now! He was very pleased with his first home done hair cut! Don’t know what the ROI is on this purchase, hubby could tell me. –Our daughter in law’s birthday is next week, so I wanted to get a card in the mail. Only shopped at Aldi and they don’t have birthday cards. So, I walked to the next parking lot to go in Michael’s to buy a card. Found some blank note cards, 6 for $1.50, less than most birthday cards. So, I wrote ‘Happy Birthday’ on the front and my own note on the inside. A forever stamp and our chairperson just picked it up! –My husband and I are attending an all day class tomorrow. I’m going to pack lunches from what we have on hand. Hubby is very happy with this idea! –Making coordinating drapes for two grandsons’ bedroom windows. Room darkening lining and made to measure! –I’ve avoided Target, grocery stores, except Aldi, thrift stores and fabric stores thus severely reducing temptation. And, I’m not feeling deprived in any way! 2. Made a batch of homemade laundry soap. 3. We are on a no spend month, and the kids have coughs….so I am making a homemade cough syrup with cinnamon, lemon juice, coconut oil and lemon juice, all things I have on hand anyway. It is worth a try! 1. Used some black fabric dye to freshen up the color on some old clothing. Cost was less than $5 to revive five items of clothing (1 pair of my work slacks and four small items). Everything came out looking very nice. 3. Went shopping across the state line, where sales tax is 2.25 percent less, for pet food and cat litter on sale at Tractor Supply. Also used some coupons for the name brand items. The savings was well worth the 15 minute trip. 4. Shopped at home for supplies needed to stock my desk when I go back to work part-time in two weeks. I’ve worked for this company before — they provide nothing except a computer, desk and chair — so I know what to bring. The first time I worked there, I spent $65 on office supplies to stock my desk, so I figure that’s what we saved this time by scrounging around the house. 5. Bought half-price eggs at Save-a-lot. They were repackaged, meaning the staff had assembled the cartons from the good eggs in cartons that had broken eggs instead of dumping the whole carton in the trash. Not only was it a great price, but buying it encourages the store to keep making an effort to reduce food waste. I do that myself at times in the store. If I check a couple cartons and both have broken eggs, I’ll just put the broken ones all in one carton and take the other one! So easy and simple! I have never seen our stores reduce them for having been broken! When stores do that they are supposed to label the eggs Grade B. I have only seen one store in my area actually use the Grade B label. I have wondered if the others don’t bother salvaging the unbroken eggs or if they simply skip the relabeling. I did not know that. It really doesn’t change the quality of the eggs–someone had to put them in the cartons to begin with–or is that automated these days too? We have a large local egg farm that supplies most of the eggs in our area, although my daughter’s friend sometimes gives her enough to share some with me. She feeds her animals when her friend goes away for a few days. It seems senseless if the stores DON’T salvage the unbroken eggs–just wasteful!! 1. I picked up a super nice pen in the Kroger parking lot. 2. I got my free Friday download today it was Snicker with almonds, yum. I also got some Totinos frozen pizzas for 75 cents per pizza with a coupon. Yes this is a junky, cheap little indulgence that my kids love occasionally. than an actual pecan pie. 4. Ate pb and crackers for lunch today because I know we are going out for pizza tonight. At least I always drink water instead of soft drinks so it’s a little frugal. I did buy some broccoli at the grocery store to help with all the junky eating I have done lately. 5. Received a free children’s book from The Dolly Parton Foundation for my kids. Love these free books and it’s such a great program. I think junky cheap indulgences for kids make nice childhood memories. I remember my mom splurging on junky stuff like that for us every once in awhile and thinking what a great treat it was. I do it for my son too. 1. Started reviewing GasBuddy before I get gas. I found out I have been paying more than I have to for gas. I am determined that will not happen again. 2. My husband got nearly a pound of free coffee from office mate who bought some that he found “too fruity-tasting.” We tried it yesterday and liked it – no fruity taste that I noticed. Maybe I am just not a real coffee connoisseur. 3. Found 2 pennies on the floor at Fred Meyer’s. This is the second time in recent days I’ve found change at that store. It’s a mini-goldmine. 4. Found a book of stamps that I thought I had lost. It was buried in my purse. I spent about an hour hunting for these stamps last week before giving up and buying a new book. So now I have plenty of stamps which is not a problem because I know I will eventually use them all. 5. Rented “Bridge of Spies” from the Redbox on Wednesday. I paid the full rental amount – $1.50 – but it was a movie which my husband and I both enjoyed, so well worth it. I enjoyed “Bridge of Spies too,” but not for those who prefer action movies. 1. Husband started shopping around last week to see if we could refinance our mortgage to lower the interest rate. He thought he’d found a great deal when I asked if he’d called our current lender. He hadn’t, and when he called, they offered the best deal of all. So the paperwork went in today and when it closes, we’ll save over $250/month! We’ve wanted to do this for several years, so super pleased. 2. Reading a brand new book from library. Had to wait ’til I moved up on the Hold list, but at least I didn’t spend the $35 to buy it. 3. Enjoyed my free birthday latte from Starbucks. 4. Son found out he earned a substantial merit scholarship to the university he’ll attend in the fall. Best thing: It’s for all four years if he keeps his GPA up! 5. Came to my senses and decided to pass on attending a fundraiser. I try to support this organization in many ways, but this particular event wasn’t in the budget. Karmic balance: two days after making my decision, a part broke off the underside of my car during a snowstorm. By being more responsible, there was no stress about paying for the car repair. Congrats to your son for his scolarhip! * Signed-up for a mystery shopper mission at a nice steak house that will cover my meal price up to 30$, so a nice meal on the house for me! * Bought a lot of different cuts of meats at really good prices this week, and froze. * Snagged 3 games for future birthday parties of my kid’s friends on sale for the low price of 22.97$ for all, Normal price : 62$. So 3 birthday gifts covered, yay! * Won a book at bookclub, book that I was zero interested in. So I went to Chapter’s with it and they agreed to an exchange (I didn’t have a receipt). I got a 32.50$ value and bought daughter’s birthday gift with it. * Racked up enought PC points, Petro Poi Points and Airmiles for 60$ worth of free groceries and gas. Yay for fidelity cards!! 1. Brought home copy paper from work printed on one side only to use for printing coupons and the occasional recipe. 2. Bought FM’s “Free Friday” item, along with some OS Grapefruit juice for .49. 3. Finished Marie Kondo’s book and have been tidying/decluttering/organizing. Frugal because I can sell some items and not have to take care of others! 4. Made Friday visit to the bank where I can get a free yummy gourmet cookie only on Fridays. 5. Using free perfume samples in catalog–just wipe on wrist, why didn’t I think of this? #5 I also put paper perfume samples in my dresser drawers…mainly the lingerie and sock drawer. 1. Attended a quilt retreat this week. It is close by and lower costs than any others, and we take all our own meals. Finished a quilt top there that I already had all the materials for. Bought nothing new for it. 2. Last night I made a really good Sweet Potato Hash With Sausage and Eggs. Tonight I used the rest of the sausage in a pot of beans, and I made cornbread. I love not going to the store. 3. Lost my Kindle at retreat…owner found it, so I am meeting her tomorrow to retrieve…cheaper than replacing for sure. 4. Kind of in the mood to cut my hair off, but keeping it long means less frequent haircuts needed. 1. Grocery shopping and the store over charged me on a sale item. Took the receipt to the service desk and received $3.33 back!!! They had over charged me by 33 cents and did the 5 times thing. Was on my lunch hour and wasen’t going to look at the receipt because of limited time but it is some worth it. 2. hung a load of laundry to dry in the basement. 3. Clicking on Swagbucks while I type this. 4. Worked a wrestling tournament tonight and working one again tomorrow AM for extra cash – cha ching! 5. Bought a Costco membership, looking forward to all the freebies that came with it and a year of savings. got money created back to my account. Since I have already paid the bill, I will have a credit to purchase some summer clothes. ( my good, wear to town $1.00 Goodwill capris from last summer have to be replaced). 4. Went to Wendys for lunch- spent $1.06 for the value fries, Senior drink and the free key frostie– not really nutritious- but I was meeting friends at a sub shop later for lunch- no way was I paying $8.00 for a sub, chips and drink. I visited with them while they ate and felt great knowing I saved money. Afterwards I went to Publix and got free samples of a pasta dish and apple with caramel dip. Free food!! 5. Had leftover chicken and rice for dinner– for the 3rd time. Gotta love those leftovers. 1) Picked up walnuts, trail mix and half & half from Aldi’s for my morning breakfast mix. 2) I printed off a $7 coupon for a Valvoline oil change and had that done yesterday. I end up getting mine changed more often after 5K miles than the 3K miles they suggest. 3) I ate leftover stew for dinner. 4) I’m still reading on a stack of Library books from last month. 5) I didn’t buy a Lear Jet either. The opinion panel you earned money, is it just in your area? Sounds like a great deal and a good way to earn extra cash. Thanks for all the wonderful ideas! 3. A friend gave me two full rolls of bubble wrap and some boxes. I used them to wrap the china I bought on sale (75% off) for my nieces for next Christmas. 5. renewed my much used library card. 1. This week made a loop drive to my favorite Amish stores for bulk cheddar to freeze, @ $1.59/#,; found a regular garage (huge shed) sale by another and bought a sturdy garden fork for 5, nice necklaces @ 1 ea, 2 capris @ 1 ea, and $2!! for a Vera Bradley satchel big enough for library books. 2.Stayed home from the library with the boys and avoided any other stores for two weeks by watching a conference on live streaming as a family, and using a free week of Dove Channel access. Also got them hooked on read-aloud of dear old James Herriott’s books about veterinary life. 3. Made my own spelt bread and avoided the thrift store where they like to grab pretzel buns and tortilla chips. 4. Found a turkey for $1.19/# and had wonderful BBQ first, then some soups and froze half of the meat. Will can at least 5 quarts of thick stock from boiling bones to have for later, plus what goes into gumbo tomorrow. 5. Shredding cabbages from winter garden into sauerkraut because of the crazy warm and cold spell flipflops we keep having. At least the furnace doesn’t run too much. But the ground has been mostly bare and they may have to sled with blocks of ice!! Have you ever heard of sledding in the summer on a big ice cube frozen into a tub about 12×18″, looping two circles of rope through holes on each side for handles? So ride on the plastic lid after getting the tub off. Worth the freezer space on a hot day, or if you never get to sled where you are. I’m on a bit of a health kick and eating significantly less. I actually have been buying less food and feeling better for it too. My clothes fit me better too so I don’t have to buy anymore. Did a Parkrun this morning which is a free timed run with a few hundred other runner/walkers/ dogs and babies in prams. Great community activity and totally free. 2. Filled my gas tank for $8 using my Kroger points! 5. Purchased beautiful superhero blankets at good will for my twin nephews birthday, wrapped them in dollar store reusable Star Wars bags, too cute! Environmentally responsible and only cost $10 for everything! 1. Sold a pair of large pillows for $6. We weren’t really using them and they were just taking up space. 2. I had ordered a couple winter down jackets for my son from Eddie Bauer and returned the rejects to the store at our local outlets. I browsed a bit, but left without buying a thing. 3. Found english muffins on clearance at Kroger for 69 cents each. I bought only four packages, what I thought we could reasonably eat without getting sick of english muffins. In the past, I have been guilty of buying TOO much of a cheap thing. 4. Sorted through the coat closet and found 2 coats to sell and decided to get rid of a bunch of scarves. I have no idea why we have so many as we rarely wear them. 5. Cleaned out the deep freeze and made a commitment to eat what we have on hand before buying more to stock up. It’s not a savings if it goes to waste. I too have been guilty of overbuying if it’s really cheap. Which, for me is ok, if it’s something like flour, rice, milk, or canned veggies but if it is kind of a special thing like bagels( have some in fridge right now)we will eat some them the rest sits around for awhile. I’m glad it’s not just me on the overbuying. I’ve been doing MUCH better as of late on limiting myself. You are right! I always forget about that. I should start making them in the toaster oven at work and drive everyone else crazy with the good smell. Great plan! I’m stealing that one! * eating our meals at home. I have plans for breakfast, lunch, and dinner for both days from things on hand. * planning a menu for next week that includes the fruits and veggies from our newly delivered CSA bag. * paying bills, filing and working on our budget. * decluttering the office and storage closet. It is much needed and I hope to find some things to sell. * not buying anything especially a Lear jet. Hopefully, this will put me back into a frugal mindset. 1. My husband pulled out leftover ham, white beans from the pantry and leftover canned beans that we had frozen and carrots from the fridge to make his famous ham and white bean soup. 2. I booked 2 round trip tickets to Barcelona using miles-cost was less than $100 for 2 if you include taxes. 3. I used some old train tickets that had not been collected on a previous train trip to put towards train fare for my son and I on a trip to New York for my birthday and reminded my. Husband that he gets half price fare as a senior. 4. Made s’mores in our fireplace last night using chocolate marshmallows and graham crackers that we had won at a charity auction. Ingredients has been languishing in the pantry. 5. I had purchased the $1 free frosty coupon book at Wendy ‘s at Hallowen. Went with husband to redeem 4 coupons. I was embarrassed about using 4 and buying nothing else until I saw then2 people behind us doing the exact same thing. Sent husband back the next day and he redeemed 6 more coupons. Free Frostysfor us! 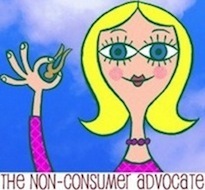 #5 I can relate…I had 4 free coupons for travel size products from Bath and Body Works, no purchase necessary. They let me use all four, and I bought nothing. I was a little embarrassed until the sales girl complimented me for being clever! This surgery thing has saved us some money! 1. Still eating every meal at home: one pot of chili lasted 4 nights, with 2 of them using the chili for taco salads. 2. Not going out with friends, we have a very social group, but this kept us home. 3. Saving on gas, we only use it for my work and short errands. 5. Entertainment has been watching old favorite movies we already own. It will be interesting to see if this changes any of our habits in the long run. We’re getting a little bit of cabin fever. Where are all of you growing your vegetables? Our ground is frozen! Australia? I’d enjoy occasional reminders of where folks are writing from, too. It doesn’t have to be GPS-specific (my own usual locality ID is “Upstate NY”)–just a general indication. Sorry–my e-mail name is a hint MRgasport@aol.com. 1. This week I made homemade ceaser dressing, catalina dressing and fajita mix. All turned out great. 2. Bought a container of sour cream that was close to expiry. Went to open it and it exploded all over me. Called the company and received 3 free product coupons in the mail this week for the 500 mL size. 3. Bought lots of fruit and vegetables off the reduced rack this week . 4. Still making good use of a huge pile of bristol board that was given to me by an elderly church member from their seniors group. Instead of tossing it out last year he knew I could probably make use of it as I run a home daycare. Also planning lots of crafts for kids using up items I already have on hand. Love Pinterest! 5.Returned a bunch of items to Walmart that I decided I could live without and made 75.00. 2)Sent some of my daughters old college textbooks in to Amazon’s trade in program and received a gift card credit on our account for $134! Better than sitting on a shelf! 3) Received a coupon in the mail from a very nice local restaurant for a free entree up to $9.95. Was planning on going out to dinner with Hubby for valentines day so will save us $ on a nice dinner! 4) Cashed in all the cans & bottles that have been piling up in our basement and made almost $15 in cash! I know that sounds like a lot but they have been sitting there for quite some time and I am the one that always takes home all the cans & bottles from relatives as they would rather throw them away! 5)Was gifted a Chai Latte at work this week from my coworker as a surprise! There is another source that I used to sell back my kid’s textbooks, BookScouter.com. It is also good for speciality books like graphic novels, trade books, and limited printings. 1. Menu planned for weekend and tentatively into next week ( never know what leftovers will turn up) . In any case we hope to eat at home with mostly on-hand ingredients. 2. Husband and son plan to take in a movie this afternoon at reduced matinee prices- Redbox and homemade popcorn would be a better choice, but I am not a great fan of the big screen and they are. 3. Starting my winter-clean out with incremental steps – goal to be done by spring! 4. Have meeting next week – they will order box lunches . I plan to bring my own chicken salad sandwich, apple and carrot sticks for less than half the cost. Just an added note that when we have frugal fails it helps that there is some wiggle room in the budget from frugal wins. Never seem to win them all! 1. Skipped my usual Starbucks during my Saturday errands. Brought coffee from home in reusuable steel mug. 2. Brunch after church tomorrow. I made apple crisp using up the last of our apples at the end of their “edibleness” and staples from the pantry. 3. Will take the survey on my grocery bill for money off my gas. 4. We ran out of our store bought bread, so I used our breadmaker and made homemade wheat bread. Tasted great and I feel great knowing it has no added chemicals. 1. Went to a leadership conference at school. Came with free lunch. I grabbed an extra brownie and soda for my sister. They gave me a free notebook and pen, which I did need. I also got a little quote journal after I gave a comment. 3. Had lunch special at a sushi place and my friend paid me back for the sole ticket. Later he treated me to dinner. 4. Spent $1.50 to buy some oranges to the party. Will be used for tomorrow’s part as well. Great healthy contribution and super frugal. 1. Found an Arthur Court 18″ serving platter, in great condition at Goodwill for $5.00. 2. Received .20/up to 25 gallons of gas discount from Market Street, lowering unleaded to $1.36/gallon. I filled up for $20. 3. Found two Tony Hillerman hardback books at Goodwill for .50/each. More expensive than the library, but I collect his books. 4. We had a luncheon at work…I cubed cheese I bought on sale, and brought store brand “Ritz” crackers, purchased for $1.00 box. I spent a total of about $5.00. 5. I brought home some food from the above-mentioned luncheon, and we had it for dinner that night. I love Tony Hillerman! So sad there won’t be any more books. I am sad about that too! I’m a latecomer to Tony Hillerman, so I am catching up. I just finished The Shape Shifter. Great reads! His daughter, Anne Hillerman, has written a couple. Plus, look for her photo book, Hillerman Country, to see pictures of the places where his books take place. It is very fun. Thank you for that information! I discovered his books while spending time in New Mexico, so I’m sure I would love Hillerman Country. 1. Was told by my hubby that my favorite run around pants were becoming high waters…I was so sad for about 5 minutes and then I let the hem out…now they’ll be awesome for another 6 years. 2. Helped my son sell some unused toys on our local FB site. He made $30… Half goes in his savings and half he can spend, if he wants. Right now, he wants to save it. Smart Kid!! 3. Menu planned for the weekend and next week. Spent $27 for our weeks worth of groceries for 3 people. Using up what we already have, too. 4. Volunteered at skate night for son. He got in free and we brought home some extra goodies for later ( giant pretzel and a couple hotdogs). I even skated, had a blast and did not take out any small children. Fun, fun night. 5. Didn’t buy a beach house in St. Maarten!! 1. Took a box full of medieval-topic hardback non-fiction books I’d culled from my house library to a re-creation society’s large winter event and sold them at $3 each or 2 for $5. At the end of the afternoon, I gave away whatever was left to anyone who wanted them. Books went to new homes, and I did not have to deal with donating them, plus made about $60. 2. Have been eating from the freezer, making some very tasty things, and using my leftovers. 3. Had been given a bag of somewhat dried-up looking clementine oranges; cut them in half and squeezed them for juice. The juice was rather concentrated, so I froze it in an ice-cube tray and now have a bag of juice-cubes in the freezer, to add to plain water. 4. Have not been to my favorite thrift store since early December. This is partly due to bad weather on “senior discount day”, and partly to being unable to drive for a while due to cataract surgeries. However, this means I have not bought anything there, either. 5. Had volunteered to make a couple of sets of meditation beads for a fund-raiser; used beads I had on hand, and strung them on waxed linen thread from an estate sale. 6. Got $59 credit pending on Ebates! 1. Bought groceries for a party for the upcoming weekend and only spent about $50. 2. Found some things I wanted for the house at Goodwill, and will be returning a few things to Goodwill that I decided not to keep. One thing I am keeping is a beautiful water pitcher for $4, which I absolutely love! I’ll also use it for the party this weekend, instead of buying bottled water. 3. My mom had food she bought too much of by mistake, and offered to contribute it to the party this weekend, which will save me a little bit more money. 4. Swagbucks while watching the news this morning. 5. Am trying to repair a treadmill that I got for free. I tried one solution yesterday that didn’t work, but the manual had a few other tips to try. 1 – Spent some time to meal plan around the grocery store flyer/coupons and bought everything I’ll need for the month. That will save time and money for the next few weeks. 2 – Brought my lunch to work all week. 3 – Found a dime in a very empty waiting room. Stashed it in my found money jar. 4 – Spent some time making extra money on Swagbucks, Gifthulk, InstaGC and quickrewards. 5 – Picked up a few extra shifts at work which will help with my plan to pay off my mortgage early. 6 – Did my own taxes for free. 7 – Made ‘art’ for my bedroom from an old dress with a broken zipper that my daughter bought second hand a long time ago and no longer wears. I simply glued the cut-down fabric to the frame backing (I had a couple cheap frames from Michael’s that I purchased years ago and never used.). Previous post: Link-O-Rama-Mama — Amazing Costco Membership Deal!